Jim Carrey ponied up another Trump-thumping artwork on Wednesday morning — and it was quite the eye-opening image. In Carrey’s latest political piece, the actor-artist depicted North Korean leader Kim Jong Un riding on Trump’s back, as the president was hunched over with a bit in his mouth. “If Trump makes a nuclear deal w/ North Korea, it’s a FRAUD: China and Russia trying to keep their Prize Pony in the White House,” Carrey wrote. “When there’s a Nobel Prize for cowardice and moral desolation Trump will be the first to receive it,” he continued. Earlier this week, ahead of a summit with Kim, Trump said that North Korea could benefit economically without nuclear weapons. “Chairman Kim realizes, perhaps better than anyone else, that without nuclear weapons, his country could fast become one of the great economic powers anywhere in the World. Because of its location and people (and him), it has more potential for rapid growth than any other nation!” Trump tweeted. 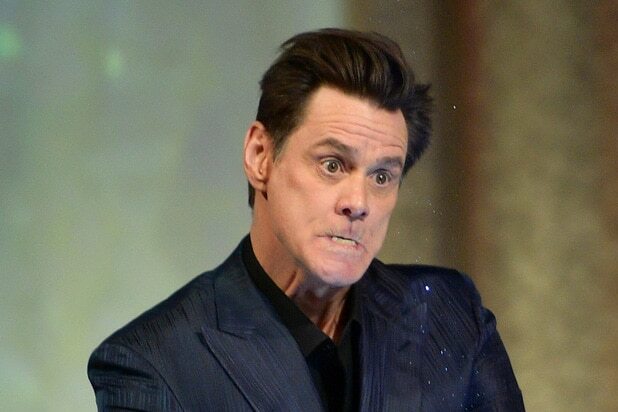 Clearly, Carrey doesn’t think Trump’s plan is the bomb.